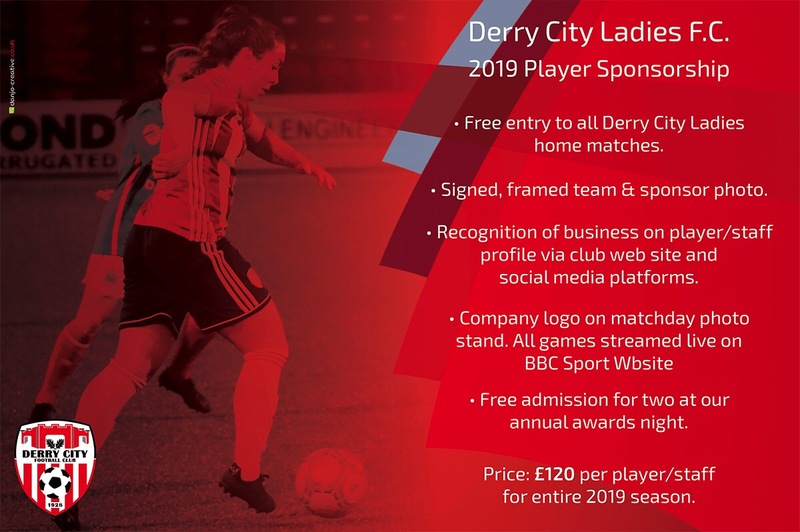 With the 2019 NIFL Women’s Premiership just around the corner, now is the perfect time to get together and sponsor a player. The help from local businesses and supporters clubs over the past few years has been immense and we still need your support! Open to all businesses, groups of Derry City Football Club supporters, family and friends of players. Cost: £120 per player for the entire 2019 season.